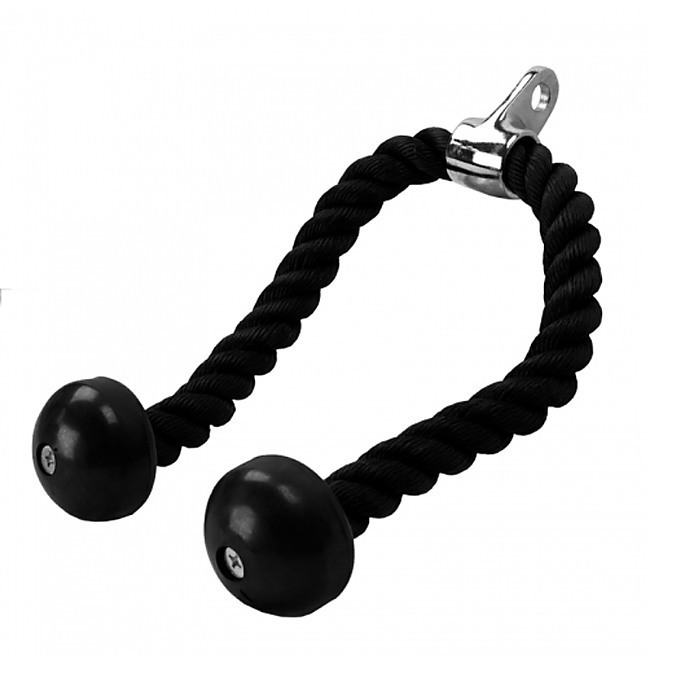 With the perfect range of motion to isolate triceps as well as abdominal muscles, the Nylon Tricep Pulldown Rope can be an essential ingredient in your home gym routine. The pulldown rope is 67.5cm long in total and is built gym-tough, featuring extra-durable braided nylon, solid rubber grips, and a heavy-gauge steel hook to attach to your machine. More versatile than a straight bar alone, the pulldown rope will target your triceps and abs with laser precision. Upgrade your home gym with this classic favorite of professional bodybuilders. 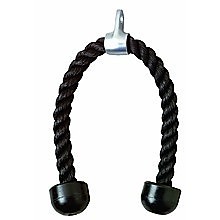 Purchase the Nylon Tricep Pulldown Rope today.